A familiar face on Glasgow buildings, he was born in Glasgow, the son of builder Hugh Thomson. He trained with James Brown (1813-78), and later worked as a draughtsman for John Baird I, from 1848-56, when he became a partner, as Baird & Thomson. During this time he worked on one of the most important buildings of the age in Glasgow, the revolutionary, cast-iron Gardners Warehouse, 36 Jamaica Street (1855-6). After Baird's death in 1859, the practice became one of the largest and most successful in the city, producing houses, terraces, commercial buildings, schools, churches and monuments for cemeteries. But it was not until his sons James Baird Thomson (c. 1869-1917) and William Aitken Thomson (c. 1871-1947) joined him in the 1890s, that sculpture became a significant feature of the firm's designs. Their preferred sculptor was James Charles Young, who worked on Thomson's buildings from the 1870s until the early 1900s. The architects produced little of significance after their so-called Ritterhaus Renaissance commercial buildings of 1895-1902. Their Ritterhaus buildings are so called after the Ritterhaus in Heidelberg on which they were modelled, and like this they feature a profusion of sculpture, including Thomson's carved portrait (see below for addresses). Thomson's earlier work was predominently in the Italian Renaissance style for commercial and domestic buildings, and Gothic for his churches. 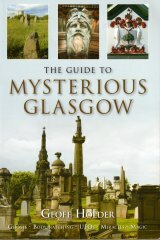 For Glasgow's Necropolis Thomson senior designed the Charles MacKirdy Monument (1891), the Neilson of Arnewood Monument (1895) and the William Blackburn Craig Monument (1903), and for Lesmahagow Cemetery he disigned the General David MacKirdy Monument (1896). He was an active member of the Glasgow Institute of Architects and twice served as their president. Pearl Assurance, 133-7 Renfield Street (1896-7); Connal's Building, 34 West George Street (1899-1900); the former Liverpool and London and Globe, 116 Hope Street (1899-1900) and Cambridge Buildings, 202-12 Sauchiehall Street (1899-1902), all carved by James C Young. In 1896, Thomson was presented with his portrait as a testimonial to his long service to the architectural profession in Glasgow. During his acceptance speech, however, he revealed that his career and life had very nearly been cut short a year after starting his apprenticeship, when he narrowly avoided being a victim of the Theatre Royal disaster on 17 February 1849, when a false alarm led to the crushing to death of many of its audience who stampeded for the theatre's exit. Having a ticket for that evening's performance, he cancelled his visit due to work commitments, and next morning was appalled to see the victims' families crowding Pain's Hospital to look for their relatives. By the time Thomson died on 12 February 1905, his practice was one of the largest and busiest in the city. He died at his home at 20 Lyndoch Street, and was buried in the Necropolis. His gravestone (by an unidentified sculptor) is plain except for a magnificent Corinthian capital set within its pediment. This serves to identify Thomson as a Freemason as well as symbolising his profession as an architect. A further stone was added in 1927, after his grandson William had been buried in the lair, followed in 1947 by the boy's father, William Aitken Thomson, who died on 26 December that year, aged 79.